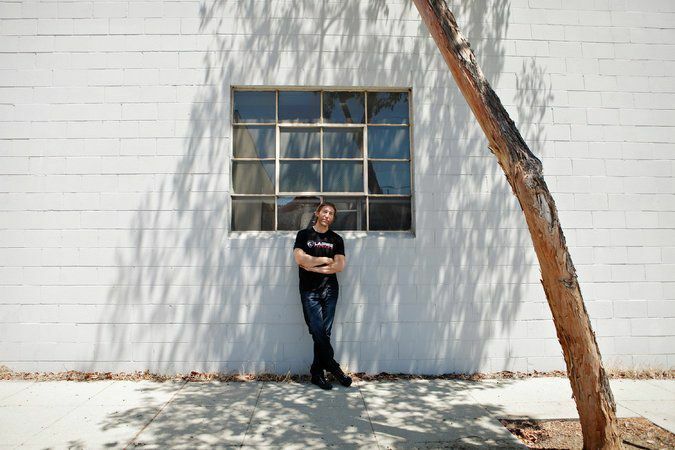 Sebastien Lagree, the designer of exercise machines called Megaformers outside his company’s Burbank, Calif., warehouse. CreditEmily Berl for The New York Times. On a recent afternoon, Sebastien Lagree knelt down and plucked a spring rigged up to an elliptical machine. He climbed aboard the Frankenstein-ian creation, one of many scattered about the Burbank, Calif., headquarters of his company, Lagree Fitness, which occupies a warehouse that brings to mind a mad scientist’s lab. This is how Mr. Lagree spends many of his days: toying with tension and figuring out how to better use it in a piece of exercise equipment he invented, the Megaformer, the basis of a core-burning workout that blends Pilates, cardio and strength training. 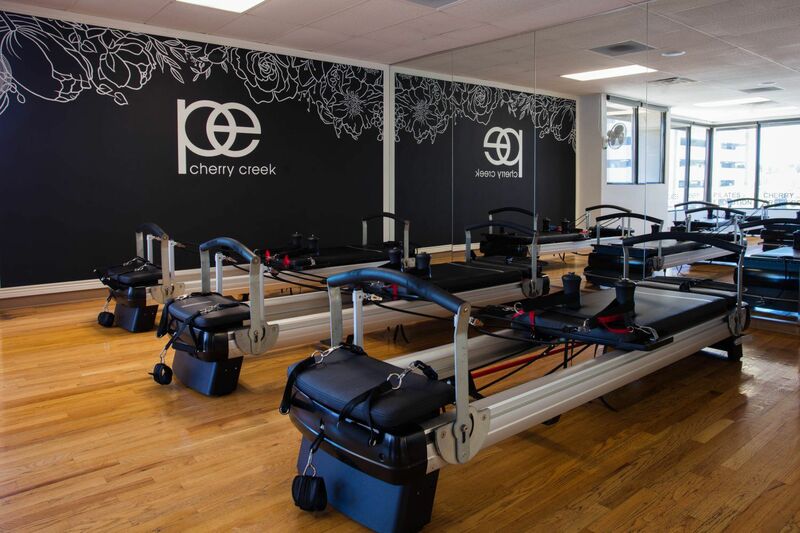 A wobbly carriage that can be pushed and pulled, lunged on and squatted down to, the machine challenges those atop it in ways that traditional Pilates may not. 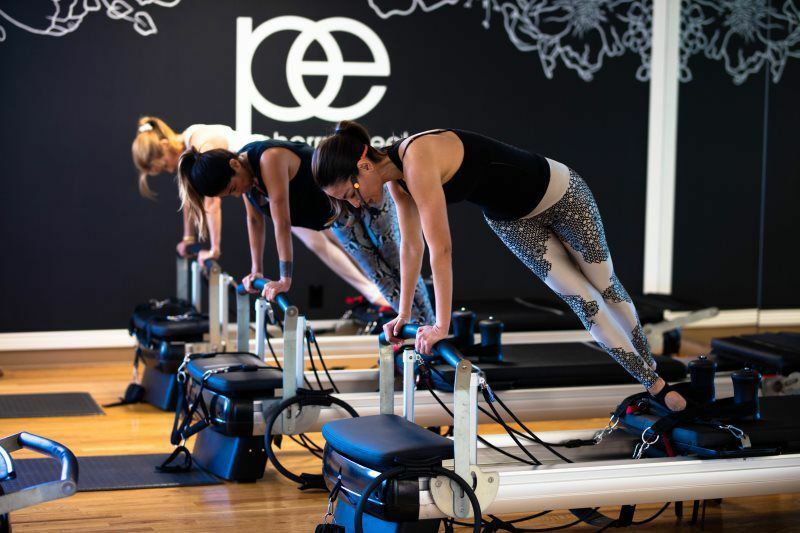 The machines are the basis of a core-burning workout that blends Pilates, cardio and strength training. Over the last 13 years, Mr. Lagree has built something of an empire. He has sold thousands of machines, which cost upward of $7,000 each, to the more than 250 fitness studios that license his method. With the promise of sculpturing lean, long muscles, his workout has attracted celebrity devotees, including Sofía Vergara and Kim Kardashian. Even Michelle Obama is a fan. Mr. Lagree, 41, was born in France and raised on a farm an hour east of Paris. He got into working out as a teenager, when he realized his video game habits weren’t helping his waistline or his viability with women. After his parents divorced, he moved to Oregon with his mother and found himself drawn into the cult of fitness here, spending 40 hours a week lifting weights, taking aerobics classes and swimming. Mr. Lagree studied business and marketing at Portland State University and received a master’s in business administration from Seattle University. He also modeled on the side. For one photo shoot, he posed in a loincloth and held a bow and arrow up to the air, long blond hair cascading down his back. The effect is part Greek god, part Fabio. While he got plenty of attention from paparazzi who thought he was the Italian model Fabio Lanzoni (“I cut my hair because of it,” Mr. Lagree said), acting gigs didn’t materialize. At the suggestion of a friend, he applied to be a personal trainer at Angel City Gym in West Hollywood, Calif., and was thrust into teaching Pilates, a form of exercise he had never heard of. He lost his job at the gym after the owner accused him of sleeping with clients (Mr. Lagree said that happened “once, it was not a rule”) and branched off on his own, opening a studio in the living room of his West Hollywood apartment in 2001. 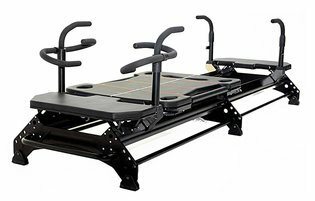 While Mr. Lagree wanted to improve on the traditional Pilates reformer from the start — “It’s like, a wooden wheel: how do you make that into something more interesting?” he said, his booming baritone dripping with sarcasm — the idea for manufacturing his own equipment came in 2003. He maxed out 15 credit cards to pay $150,000 for a prototype of the Proformer, the Megaformer’s predecessor. Two years later, he had enough new machines to replace the old ones. His clients balked at the design, but a glowing write-up from the website Daily Candy brought in a trove of new business, and the Lagree method started its march from Los Angeles to the rest of the world. His rise hasn’t been without obstacles.  He ended up marrying, and quickly divorcing, the client from the gym for whom he made that one-time exception; they have two children together. He lost his sprawling Melrose Avenue studio to his second wife, Carrie Minter, in their divorce last year. (She now runs it under the name Carrie’s Pilates Plus.) He claims some licensees and others are “blatantly copying” the design of his machines, which carry two patents, and plans to sue them once his pending patents are approved. But Mr. Lagree swats off these annoyances like so many gnats as he forges ahead. Showing off the latest versions of his Megaformers — each model has a clinical name, the M2, the M3, the Iformer — he spoke about robotic arms and handles that move electronically. He’s developing a suit with sensors that light up and buzz when the wearer flubs up his form during a workout. He’s working on a book about his experience with exercise and funding a documentary about the future of fitness that he wants to present at the Sundance Film Festival in 2016. The question he hopes to answer: how will technology optimize the way people work out? “We’re interviewing everyone, we have Microsoft, we have NASA, we have a whole bunch of scientists, people in nanotechnology, biotechnology, people into robots, all of that stuff,” he said. Behind him was a white board with lots of arrows and the phrase “synthetic bodies?” scrawled in large letters. He and his wife, Danielle Lagree (they married last year, 34 days after meeting at a Studio City bar), also have plans to get into the supplement market. Ms. Lagree, a former Penthouse pet, wants to open a marijuana dispensary, and Mr. Lagree thinks “there’s some herbal qualities of pot that can go into an energizing drink.” He’s curious about other unconventional energy sources as well. The idea, eventually, is for the Lagree method to extend well beyond a workout. Mr. Lagree would also like to build a car-racing team, get top tier D.J.s to spin for Megaformer classes broadcast worldwide, and maybe even produce a horror film. (“I like zombie flicks,” he said.) Nothing irks him more than the notion that he should stick to fitness, though he plans to resume his own Megaformer regimen soon. “I’m getting so fat,” he lamented, throwing in an expletive and a sidelong glance at his adulterated ellipticals. “Our licensees are always suggesting, ‘Hey, there’s this fitness expo or this health expo, you should do that,’ and I’m like, ‘No,’ because I don’t consider myself a fitness company,” he said.